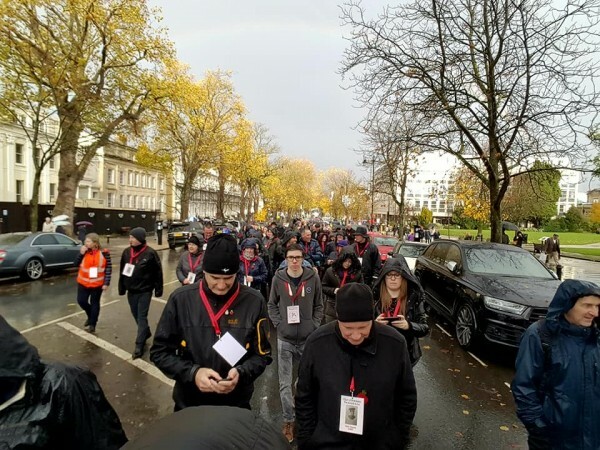 The march through Cheltenham in memory of those who died in the First World War consisted of 1,279 local people, each representing one of fallen who have their names on the WW1 Cheltenham War Memorial. 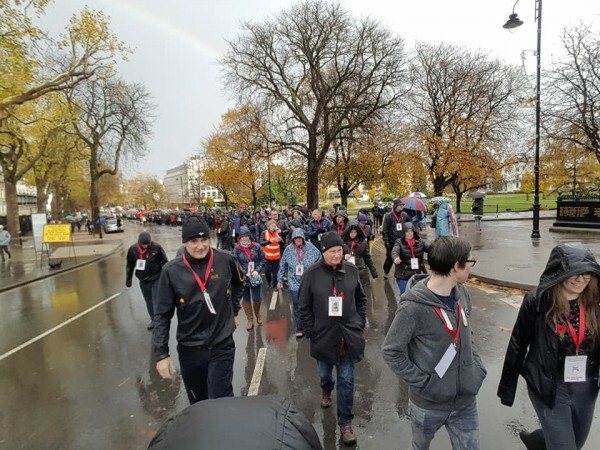 So everyone walking had a name and photo allocated to them on a lanyard. Not many people in Cheltenham know where Queen Street is, just off Swindon Lane. We should do though as 31 men went from Queen Street to fight for their country in the First World War, a total 21 had died by 1919. 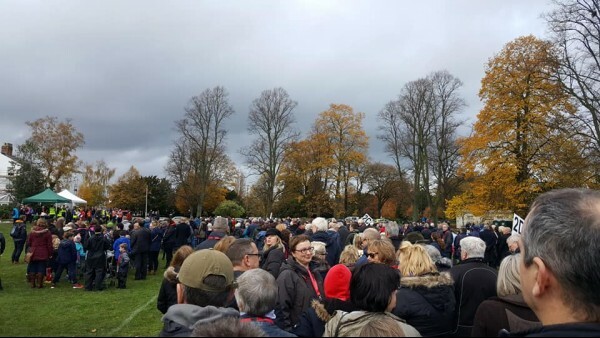 The Cheltenham Remembers Memorial March route began in Sandford Park and finished in Montpellier Gardens with a short, but fitting, service. During the march it poured with rain but as the group reached Montpellier Gardens the rain eased and a rainbow appeared!